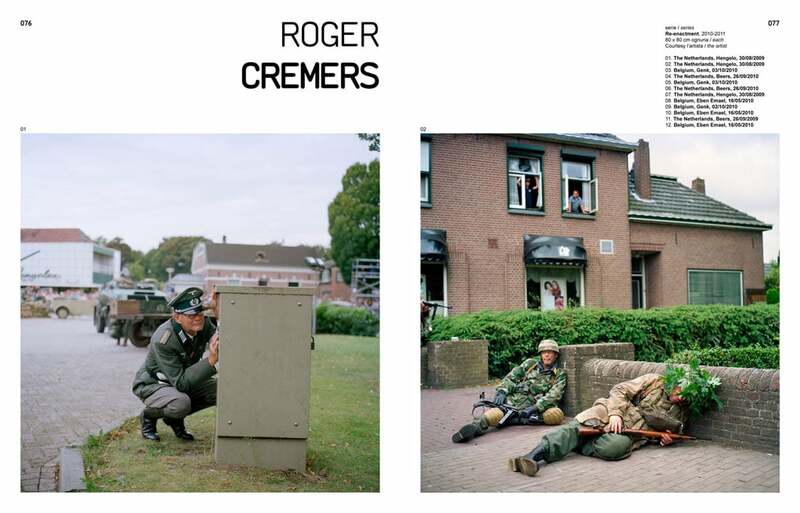 In his photographic projects, Roger Cremers looks at the culture of remembering related to certain events of the Second World War within modern Western societies. He focuses mainly on the tension between two extremes: today’s organization of leisure time and the past miseries of war. Cremers is particularly interested in the feelings revealed by individuals observing and reconstructing historical events. In 2008, for example, he documented the visitors of the Auschwitz-Birkenau State Museum memorial in Poland, showing the paradoxical condition of those who visit one of the most tragic sites of recent history as a place to spend a day away from home. For his series Re-enactment, Cremers went further: here he is not only observing people going to visit places in which historical crimes where perpetrated, but directs the camera at those who willingly dedicate their spare time to actively re-enact them. 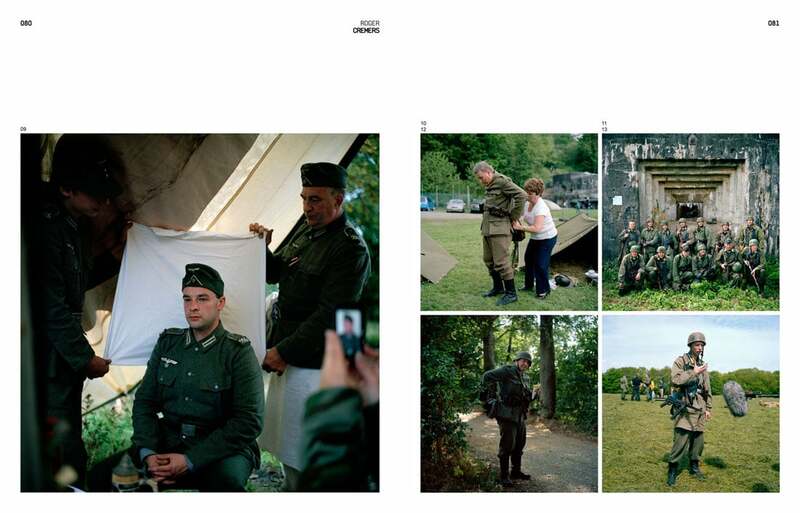 Cremers reflects on the relationship between citizens and collective history, portraying these representations of historical events occurred during the Second World War and experienced with the most possible authenticity thanks to period costumes and actions as realistically as possible. The people involved re-elaborate these dramatic events they have not lived in an incongruous and paradoxical way, presented to us through the photographer’s viewpoint. The artist is fascinated by the meticulousness with which the socalled re-enactors get inside their roles as soldiers, nurses or prisoners. The groups of re-enactors meet to define every detail of the characters and the scenes inspired by actual historical event, generating an entire subculture. As a participating observer, Roger Cremers tries to gain insight into the phenomenon and to understand what drives these people to dedicate so much time to this activity, gathering information on site with an almost anthropological attitude. Based on his experiences with the re-eanactors, the artist excludes that these could be followers of Right-wing political groups. They are rather attempting to relive the past – often that of their own nation – through role games, in order to gain closeness to an otherwise abstract historiography. The re-enactment of historical events has become an internationally widespread phenomenon, a cultural practice that seems to reveal a strong desire – if not a profound necessity – to remember and relive events of the past. Conceived in part as playful acts, while some groups also read ideological purposes into them, these re-enactments are attempts at reading history anew, through a mimesis with single episodes and through a first-hand, collective experience that is at the same time physical, sensorial, emotional and psychological. 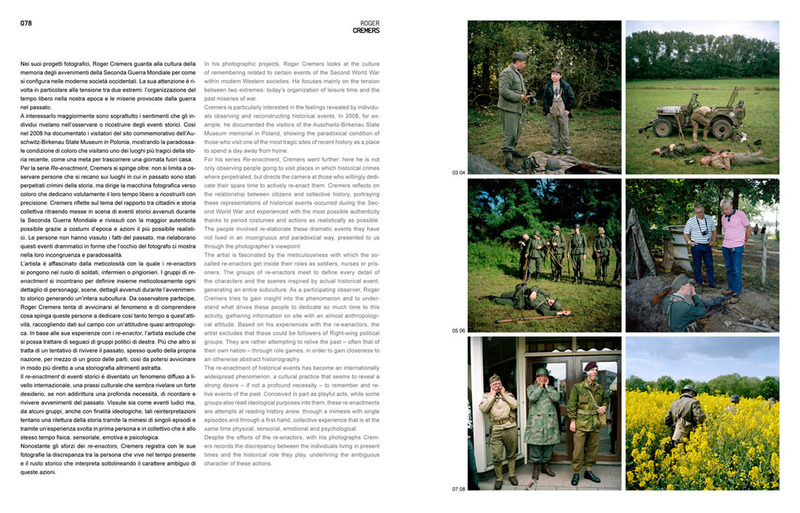 Despite the efforts of the re-enactors, with his photographs Cremers records the discrepancy between the individuals living in present times and the historical role they play, underlining the ambiguous character of these actions.